Arturo Gatti's wife Amanda Rodrigues said she didn't murder the boxer, but was held on murder charges until Brazilian authorities confirmed that Gatti did indeed take his own life. Rodrigues is to be released from custody. This is one time the wife of a murder suspect told the truth and evidence sided with her. Boxer Monte Barrett's Over the Top Rope Ring Entrance Leaves him Embarrassed! Monte Barrett tried to make an exciting ring entrance, leaping over the top ropes, but it didn't go that way... neither did his fight with David Haye. Barrett got knocked out in the 5th Round, after Haye knocked him to the canvas 5 times. George Foreman's Lean Mean Fryer Spins the Fat out of Fried Food! Leave it to Entrepreneur George Foreman to follow up his Lean Mean Machine Grill with a fryer that borrows technology from spin clothes dryers. The Lean Mean Fyer spins the fat out of the food. Perfect gift for the holidays for the fried health food person in your life. Boxer Trenton Titworth Kisses Opponent Jessie Vargas- Then Gets Knocked Out! Sports by Brooks is reporting that during an Oct. 4 - HBO Televised Boxing match Trenton Titworth kissed or nibbled on the neck of opponent Jessie Vargas. Judges did deduct 2 points from Titworth for the infraction- as if it matters. Peter Buckley - World's Worst Active Fighter (256 Losses) Throwing in the Towel! If at first you don't succeed, try, try again...but in Peter Buckley's case he got in the boxing ring and was a human punching bag- having lost a record 256 fights out of 299. He is fighting one last time, this Friday in Birmingham, England- It will be his 300th bout. RIP Phoenix Police Officer Barry Scott Dies after Charity Boxing Match against Firefighter! Everyone associated with the Guns and Hoses Charity Boxing Event for the 100 Club in Phoenix is stunned. Scott was fighting a Chandler, AZ firefighter when the fight was stopped- it was not until after the fight that Scott was in distress and collapsed. Officer Scott joined the Phoenix Police force in 2007 after an 18 month tour of duty in Iraq. 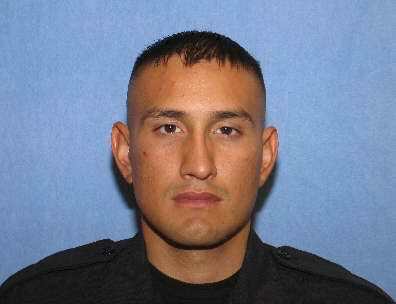 The 100 club of Arizona issued a statement : Officer Scott is a hero," the statement said. "He has defended our country, our city streets and given much to the community. When a young family is faced with tragedy, it is always heartbreaking and gut-wrenching." Our thoughts and prayers are with his family, colleagues and friends! Floyd "Money" Mayweather Jr. To Retire- Oscar De La Hoya Fight Off! Floyd "Money" Mayweather Jr, has opted out of a multi-million dollar rematch against Oscar Del La Jolla. The rematch would have seen Del La Jolla managed by Mayweather's estranged father. Mayweather will forego the accompanying $20-plus million payday. Mayweather's last appeared in the ring at Wrestlemania for Vince McMahon's WWE, where The Big Show was defeated by Mayweather. The Big Question is, Will Mayweather really stay retired??? Was the Fix in? Danny Williams v Konstantin Airich fight- Promoter Rings the Bell at 1:38 of the 6th when His Fighter was Losing. Boxing Scene.com brought this fight from Spain to our attention. It was posted on the Boxingscene.com Forum by CasperUK, and yes the promoter did ring the bell at 1:38 of the 6th Round. Referee and the promoter did EVERYTHING he could to ensure Airich won. - The standing 8 counts given for no reason whatsoever! - The 25 second 'standing 8 second count' given to Airich when Danny pummels him in the 6th round. - The 6th round being cut short by half when Danny is about to KO Airich. Note the promotor (in the cream suit) ring the bell at 1:30 of the 6th round to cut the round short and save his man. Never seen such blatant corruption before. When King does it he at least uses his brain and does it 'behind the scenes'.